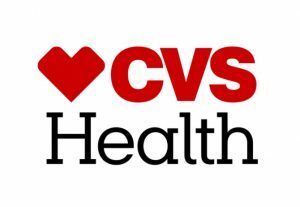 WOONSOCKET, R.I. — In recognition of the company’s commitment to prioritizing the inclusion of individuals with disabilities in the workplace, CVS Health announced it has been named a “Best Place to Work for Disability Inclusion” on the annual Disability Equality Index (DEI). The company received a perfect score of 100 for the second year in a row. Kaylee Merrick, a graduate of the program, now works for CVS Pharmacy in Northern Virginia. “CVS has open arms to everyone and they have a lot of patience, too. I love seeing and interacting with my regular customers. Working at CVS has been an amazing experience,” she said. The DEI is a joint initiative between the American Association of People with Disabilities and the US Business Leadership Network, jointly designed by disability advocates and business leaders as the nation’s most trusted comprehensive benchmarking tool for disability inclusion. The Index measures key performance indicators across organizational culture, leadership, accessibility, employment, community engagement, support services and supplier diversity. This recognition is the latest in a series of third-party acknowledgments for CVS Health’s commitment to supporting a diverse and inclusive workplace, including: FORTUNE’S Most Admired Companies; Corporate Responsibility Magazine’s 100 Best Corporate Citizens; Human Rights Campaign’s Top Places to Work for LGBT Equality; Points of Light’s The Civic 50, Military Times Best for Vets; the Bloomberg Gender Equality Index; and DiversityInc’s Top 50 Companies for Diversity.